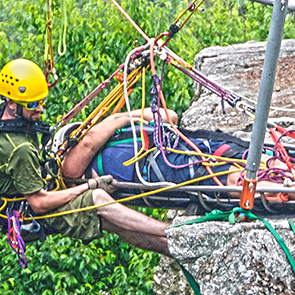 AHS Rescue prepares rope rescue workers and rope access workers with certified high angle rescue equipment for training and work. 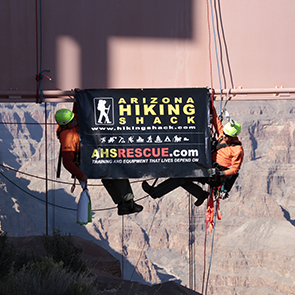 AHS Rescue is recognized for preparing rescue workers, and rope access workers with high angle/artificial high directioinal equipment for rope rescue courses. 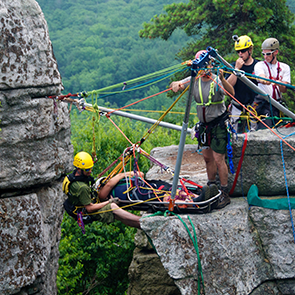 Nationally recognized high angle training coursesare provided by Ropes That Rescue, who endorse the use of all equipment provided by AHS Rescue in all of their rope courses. 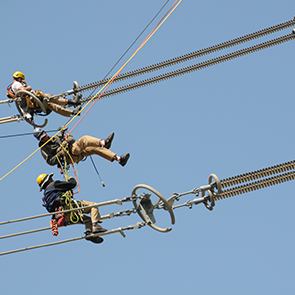 The Artificial High Directional Workshop (AHDW) is an advanced course for emergency responders and rope access professionals, with in-depth training over 7 days on the correct use of any manufactured high directional. 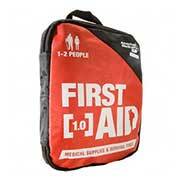 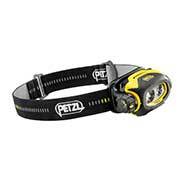 Although there is no required prerequisite, the Personal Rescue Skills Workshop is recommended. 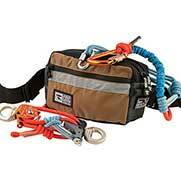 If you are interested in learning more about our high angle rescue equipment, please contact us. 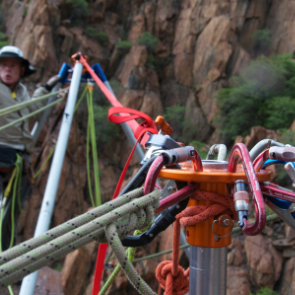 AHS Rescue provides the following mandatory high angle rescue equipment for the Ropes That Rescue Artificial High Directional Workshop, from trusted names that lives depend on. 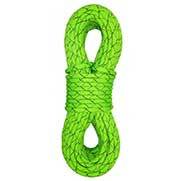 CMC AZTEK ProSeries System - The UL Classified to NFPA 1983 (2012 Ed) Aztek ProSeries System, with 50 feet of Aztek ProSeries 8mm Cord, is composed of a 100% high-performing nylon blend. 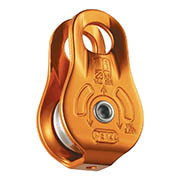 This versatile tool for high angle rescue provides over 100 rigging solutions for use by rescue technicians worldwide. 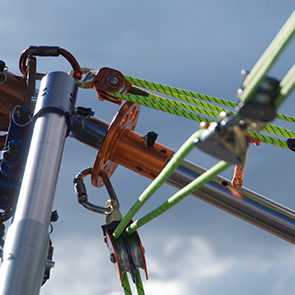 Purchase your ProSeries system from AHS Rescue and discover the benefits of this efficient and lightweight rigging system. 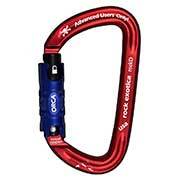 Carabiners in steel or aluminum - Required for personal and team use, the Rock Exotica RockD is the desired carabiner for the highest strength in any standard sized aluminum frame. 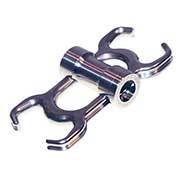 The Black Diamond RockLock carabiner is the largest belay and rappel locker featuring a keylock nose, available as a twist lock or a screw gate for simple operation with one hand. 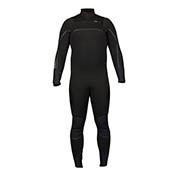 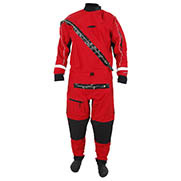 Seat and Chest Harness - Students require a seat and chest harness such as the Yates 387P Rope Access Professional Harness with lightweight aluminum D rings in the chest, side and dorsal connection positions. 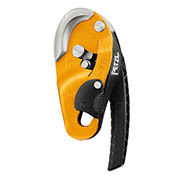 Petzl's Full Body Harness - The Petzl AVAO BOD Fast is a fully body harness with X-shaped dorsal wraps designed for maximum comfort in any situation. 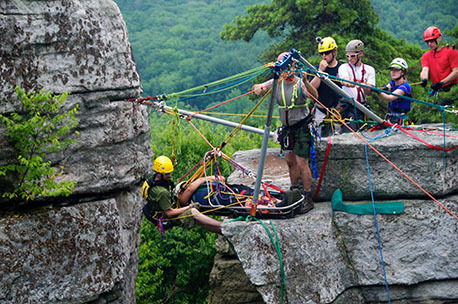 Whether using high angle equipment for rescue or your profession, you may run into situations that require confined access rescue equipment. 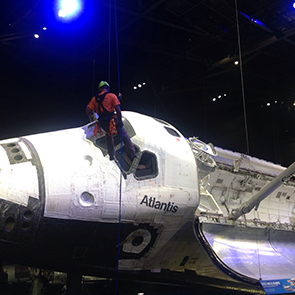 AHS Rescue carries all necessary confined access equipment for rescue or industrial purposes, providing absolute on-the-job safety. 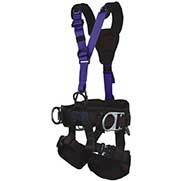 The Confined Space Disaster Response Litter with powder coated steel is a lighter weight alternative to the heavy duty stainless steel model. 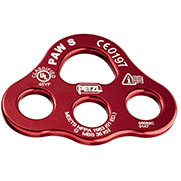 This rescue litter is available in a narrow style, and can be combined with the Low-Angle Litter Harness for preparedness with ideal confined access equipment. 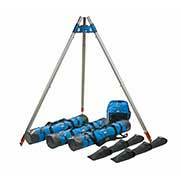 AHS Rescue also provides the most sought after high angle rescue equipment such as the Arizona Vortex Artificial High Directional which are often requested by (SAR) Search & Rescue teams. 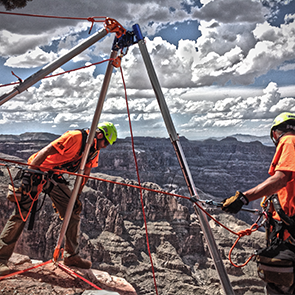 The Arizona Vortex (AZV) is a valuable all-inclusive piece of equipment for high angle rescue. 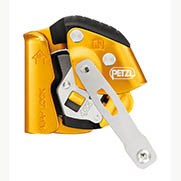 The AZV is a versatile high directional featuring a two-piece head that can be set up as a tripod, bipod or monopod, sideways A-frame or A-frame, with many more options. 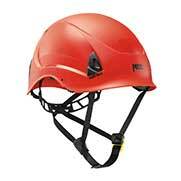 The AZV also has additional attachment points when several lines may be required over the edge. 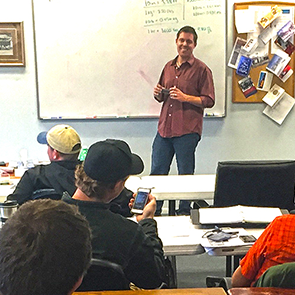 Contact AHS Rescue today, or complete the form below for a complete list of all required equipment for the Artificial High Directional Workshop (ADHW) and other Ropes That Rescue workshops. 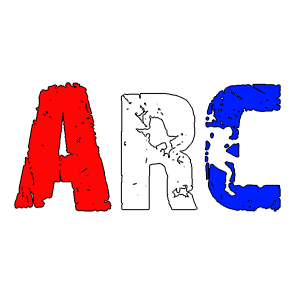 AHS Rescue is a leading supplier to rope rescue and rope access professional across the country with reliable rescue equipment for absolute job safety. 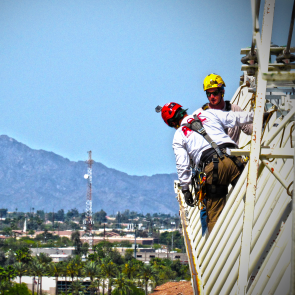 We have most advanced high angle rescue equipment in Arizona, and the industry.